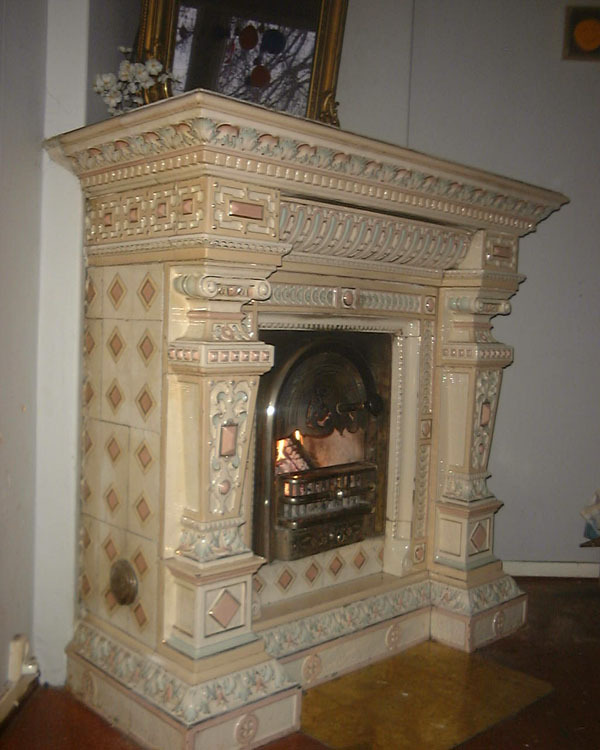 I found Your website regarding fireplaces and are cuorius about this specific fireplace, shown in the 4 attached photos. This fireplace is located in a house from 1864. The house is now taken down, and I try to collect some information about the fireplace. I,ve lived in this house for about a year, and did not really like the fireplace in the start, due to a lot of smoke in the house when used. Now, after cleaning the pipe :-) , its the heart of the house. What I think is fantastic about the fireplace is the construction, since the heat/ smoke goes up on the right side, then under and up again on the left side, and then finally leaves in the back. 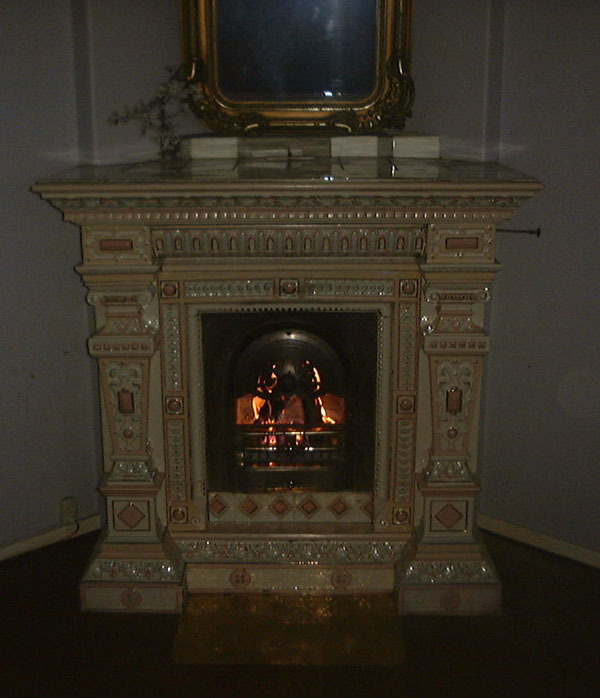 This makes it a very nice fireplace, bringing that unique heat to a very big, unisolated house in frozen Norway. This old construction is, as far as I can see a lot smarter than any fireplace I've seen in this country. 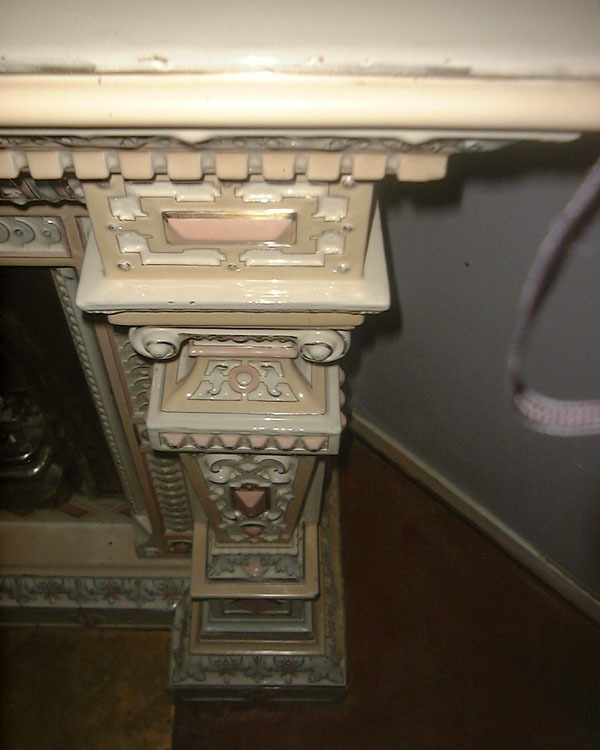 The fireplace has a gold paint on some details and are more or less in a god shape. Probably it needs to be restored anyway. 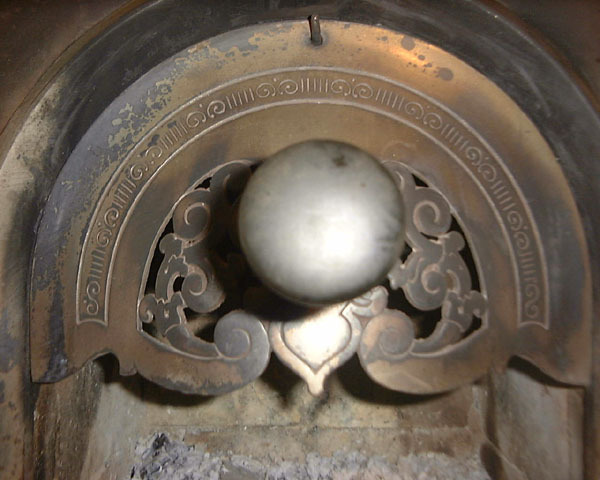 I hope that You, or maybe somebody You know, can say something about the age, origin and any other information about this fireplace. I will take imidiate action if further photos are required to give a statement.